If you’re just buying your first auto insurance policy, the usefulness of a great credit score might not be apparent yet, but as soon as it’s time to rent an apartment or take out a loan, your credit score will be extremely influential. Designed as a way to measure a person’s financial reliability, your credit score is determined by your history of repaying debts, and it’s becoming more and more important every day. Your credit score doesn’t just come into play when you’re ready to take out a loan. Some employers have taken up the practice of assessing a potential employee’s credit score in an effort to determine who to hire, and while many have scrutinized this policy, it’s increasing in popularity. 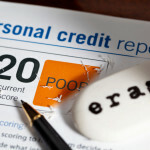 But it’s not just employers who are sneaking a peek at credit scores – insurance companies across the country have started using credit scores as a way to assess client risk. Credit score checking is no less controversial in the insurance industry, and a handful of states have gone as far as to ban the practice entirely, but as many insurance agencies have pointed out, credit scores are an accurate method of determining a client’s risk. It’s still unclear what the exact correlation is, but taking a look at a customer’s credit score has been proven as a reliable way to assess a client’s future risk. Drivers with lower credit scores statistically cause more collisions while those with higher credit scores are typically lower-risk. Readers in California need not worry – this practice is banned in The Golden State, and in the rest of the country, many insurance companies are open about how credit scores may influence car insurance quotes. The unknown element in all of this was, until very recently, how big of an impact credit can have on the final price of insurance, but a recent Consumer Reports analysis clears things up quite a bit for consumers. The study indicated that drivers with the lowest credit scores are likely those in the greatest danger of being over-charged, but even drivers with average to good credit could still be affected. One popular insurance company charged drivers with a good credit score $214 more on average compared to drivers with the highest credit scores, and when you compare drivers with poor credit scores to those with excellent credit, the problem becomes even more obvious. State laws and company policies differ wildly across the country, but if you’re looking for an example of credit influencing insurance costs a little too much, look no further than Florida. A theoretical driver with a clean record applied for two policies, claiming excellent credit on one and poor credit on the other. The driver with poor credit was charged a full $2,417 more than his better-scoring counterpart. This policy has been further scrutinized by critics for punishing bad credit more severely than a DUI, but let’s hear what you think. Are these practices going too far? 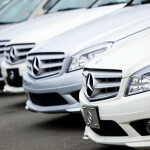 Should credit be ignored completely, or simply used as a way to identify low-risk drivers? Should the impact be greater, more positive, or non-existent? Let us know in the comments section below, and call or click today for more information on California car insurance. Don’t fall behind – learn how your credit score could be affecting your auto insurance rates and more today. Should Teen Drivers Buy Their Own Auto Insurance?